High levels of uric acid in the urine and blood in tissues throughout the body cause pain and chronic diseases like arthritis and gout. Baking soda helps neutralise the excess acid and is used as an effective remedy. 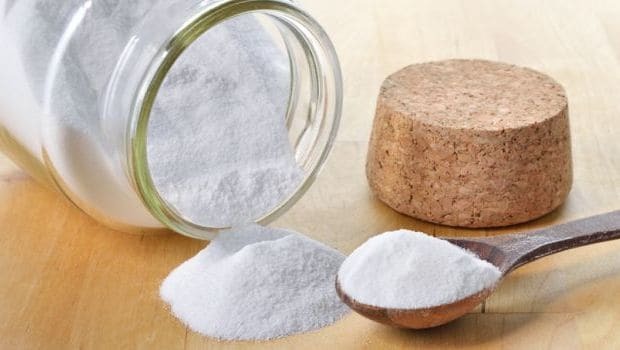 Baking soda is an excellent skin exfoliator; it is mildly abrasive in nature that helps remove the dead skin cells and allow new cell production, further giving a glow to the skin. All you need to do is to dilute baking soda in water and apply it on your face in a circular motion. Do not use this solution daily; instead, use it twice a week only. Baking soda reduces the inflammation on the skin and lowers the chances of developing acne and pimples. Its anti-bacterial properties help prevent breakouts on the skin. Known as a popular cleansing agent, baking soda benefits dark lips too. All you need to do is to add honey and baking soda together and mix well. Apply it on your lips for two to three minutes before washing it off with water. Baking soda is the most convenient toothpaste that helps give bright pearly whites. It helps remove the plaque on teeth, thanks to its abrasive nature. It may also help in removing discolouration due to the alkaline power it possesses. While there is no scientific proof of baking soda being used as a perfect haircare solution, it is said that this ingredient helps soften your tresses and further promotes hair growth. This magic kitchen ingredient deserves more attention that it actually gets. Make sure you bring these baking soda benefits to your rescue!